Presenting Style Magazine’s Readers' Choice Hall of Fame special advertising section. Tracking down that breakfast spot you heard about can be tricky. So can finding the perfect boutique... but once you’ve found it, chances are you’ve told all your friends and then some! It’s you – our readers – who really know the best of what this region has to offer, and it’s your turn to share your favorites with us. From golf courses to playgrounds, artists and leaders, Style presents to you Readers’ Choice winners and chart toppers and invites you to celebrate them with us! The doctors, hygienists and staff at Blue Oak Dental would like to thank our patients for voting Dr. Mike Gade and Dr. Jeffrey McClure as two of the favorite dentists in Roseville, Granite Bay & Rocklin. 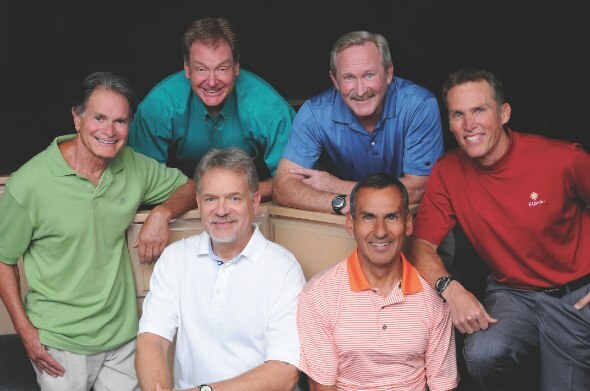 In addition to offering general dentistry, implant dentistry, and cosmetic dental services, the group also has an on-site orthodontist (traditional braces and Invisalign), periodontist, oral surgeon, and a board certified pediatric dentist to treat all of your dental needs. “We are committed to helping our patients look and feel their best through optimal dental health,” say the doctors of Blue Oak Dental. Our philosophy is simple: provide exceptional and comfortable care that is honest, compassionate and respectful to our patients and their families. The Roseville office is open extended appointment hours – 7 a.m. to 7 p.m. each weekday, and 7 a.m. to 1 p.m. on Saturdays. We invite you, your family and friends to be a part of our dental family. We are certain that you will enjoy our professional staff and friendly atmosphere. Both offices are currently accepting new patients. Please call today to schedule your dental visit and ask about our $50 new patient certificate. Thank you to the readers of the Style Magazines for voting Nick Sadek a Favorite Real Estate Broker in Roseville, Granite Bay, Folsom and El Dorado Hills! NRS Luxury Estates is a premier boutique and specialty real estate firm catering to the demands of the luxury estates marketplace. The company, based in Placer County, not just excels in a down market, but are moving high-end residential homes with multimillion dollar price tags. Real estate broker Nick Sadek and his partner Dina Sadek are renowned for selling Eddie Murphy’s Granite Bay mansion and currently have over $40,000,000 in listings and pending inventory of luxury estates. Nick fosters solid relationships with clients by making a point of always answering his phone, qualifying clients up-front, and being ready to preview properties right away. Nick never charges his clients for any of his marketing ideas, more important to him is working freely and synergistically with just the right kind of client. "I like to inverview my clients," he notes. "I don't take just anyone. I want someone who will work with me - someone willing to be understanding and flexible, especially in a down market." Nick’s 20 years in business have also enabled him to refine his approach working with high-end clients in the housing market. Extensive personal networking and Internet marketing are also part of his pattern of success. He develops targeted marketing ideas for projects of special interest, providing him success in substantial deals that often close more quickly than the market average. Visit Nick's website for advice and listing info or to find out the worth of your home, nrsluxuryestates.com. The Atrium Salon Spa is Placer County’s premier salon spa. Experience, excellence, and their exclusive amenities are what makes Atrium Salon Spa stand apart from the other salons and spas. Atrium is known for superior customer service, vast menu of services, and excellence in client satisfaction. 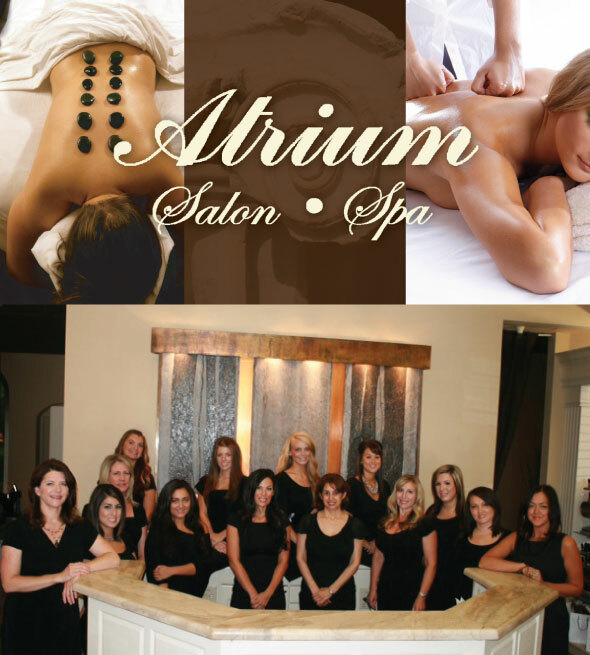 The Atrium provides clients with massage therapy, advanced skin care treatments, manicure & pedicure services, body wraps & therapies and full hair salon services. Atrium Salon Spa is celebrating 12 years of service and is excited to continue to remain strong in the salon and spa industry thanks to its dedicated team members and salon and spa managers, Lisa and Noki. Atrium remains distinguished by its amenities and menu of services. A client does not have to go to multiple salons to receive nail, hair and facial or body services, they can do it all underneath one roof. Atrium has a vichy shower for body therapies, a shower for clients personal use and they also offer custom airbrush tanning for clients who want sunless bronzing. Atrium offers clients beverage services, a guest lounge and spa lunches for our full day package guests. Guests can spend a full day or come in for a short visit. Atrium carries only the best professional products for their clients such as Pevonia, Glo Theraputics, Kerastase, Bumble & Bumble, Aveda, Wella and Pureology. Atrium invites you to come and experience the Atrium Salon Spa difference. Our slogan says it all. 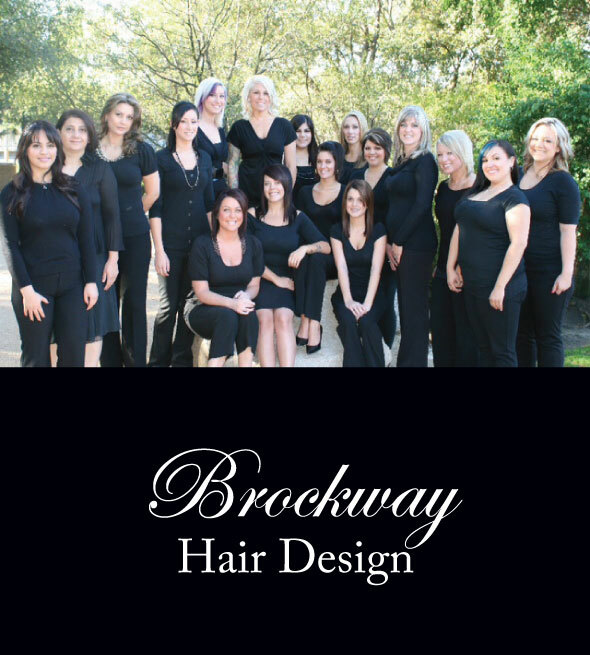 We are Brockway Hair Design, a full service salon dedicated to creating, coloring, and designing beautiful hair for our clients. We are one of the leading salons in the area and work exclusively with European color line, Wella. With over 200 individual colors in our professional back bar we are able to create the perfect custom color for you. We are recognized by Salon Today as one of the top 200 salons in the country as well as having received local recognition. We continually strive for excellence in client satisfaction and customer experience. We believe learning never stops in this fast paced industry and have one of the best advanced educational programs around so that we are able to give our clients the latest looks in hair design and color. We want to be on top of the trends not behind them. Our philosophy at Brockway is simple: great hair design is not just about having the knowledge and the ability to cut, style, and color, it’s about being able to create custom hair color and design for each clients personal style. We want a client’s hair to be as unique and as beautiful as they are. We invite you to come and experience true salon excellence. Thank you Roseville and Granite Bay for making us your salon of choice. We are very fortunate to be able to serve such a beautiful community. THANK YOU for voting Rocklin Pediatric Dentistry your favorite pediatric dentist four years in a row. Dr. Lora Foster Rode and Dr. Jessica Wilson are committed to providing personalized dental care in a friendly atmosphere. The office is inviting and our patients’ artwork is proudly displayed on the brightly colored walls. 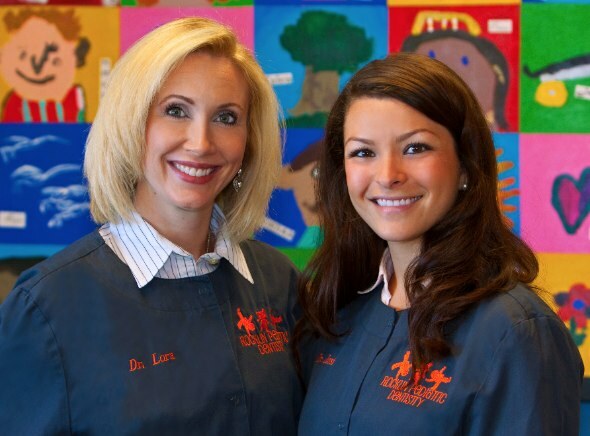 Dr. Lora, Dr. Jessi, and our amazing team use a loving and caring approach, expert training, and state of the art techniques to offer your child the best dental experience possible. They have created a comfortable and welcoming environment for young people. Patients have fun and can’t wait to come again for their next appointment. To find out why...please visit our website at www.RocklinPediatricDentistry.com or call to schedule your new patient appointment. Let your child learn and be loved at Adventure Christian School which was voted Favorite Preschool and one of the Top 3 Private Schools TWO YEARS RUNNING! In our Preschool program, your child can explore the world around them through play while they master academic concepts needed for Kindergarten readiness. Our Preschool provides a loving environment for children aged 2.5 – 5 years old with multiple programs available to meet the needs of your family’s schedule and budget.Our Elementary program offers challenging academics in an encouraging environment with small class sizes. In our new state of the art building, your child will learn and excel in core subject matters while also participating in Music, Spanish, P.E., and Computer Lab classes.Junior High students experience our robust academics in core subject matters, Spanish, Creative Living, Band or Choir, P.E., and two of the following electives: iMovie, Photography, Web Design, Speech and Debate. We believe in challenging each student to demonstrate their full potential including high school level math for students who excel in that subject. Adventure Christian School would like to thank Style Magazine readers for your support and we hope to see you on campus soon! We are honored and thrilled to receive the Style Magazine Reader’s Choice award for the second year in a row as the Favorite Dance Studio in all of Rocklin, Roseville & Granite Bay. At Dance Elite we offer top notch dance classes for all ages & levels in a positive & professional atmosphere. We are known in the dance community as the “go to” place for any dancer who wants to be well versed in a variety of dance styles from beginner to professional. Our instructors are all respected experts in Hip Hop, Ballet, Tap, Jazz, & Lyrical/Contemporary dance. We also offer a Zumba/fitness challenge program for adults on Saturday mornings. In addition to great dance classes, Dance Elite equips dancers with their dancewear & shoe needs which makes for easy one-stop shopping for parents & students. Since our opening in 2004 we have experienced substantial growth and our studio will be engaging in yet another expansion project in 2013 to add several classes & to expand our retail area. Feel free to stop in today and take a free trial class & receive free registration fees by bringing in this ad by 12/1/12. Thank you for voting us Favorite Pediatric Dental Practice winner for 2012 for Roseville, Granite Bay, Rocklin, Folsom, and El Dorado Hills! 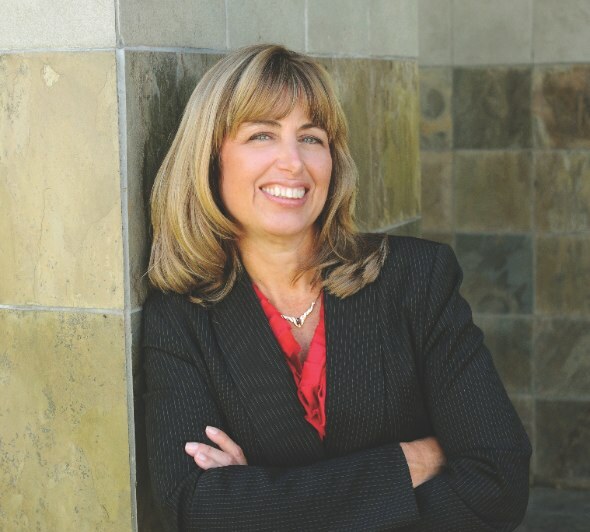 We are also proud that Dr. Lexie Lyons, our Specialist in Orthodontics, won Favorite Orthodontist in Roseville, Granite Bay, Rocklin, Folsom, and El Dorado Hills! We greatly appreciate your support and feel honored to have been chosen four years in a row. 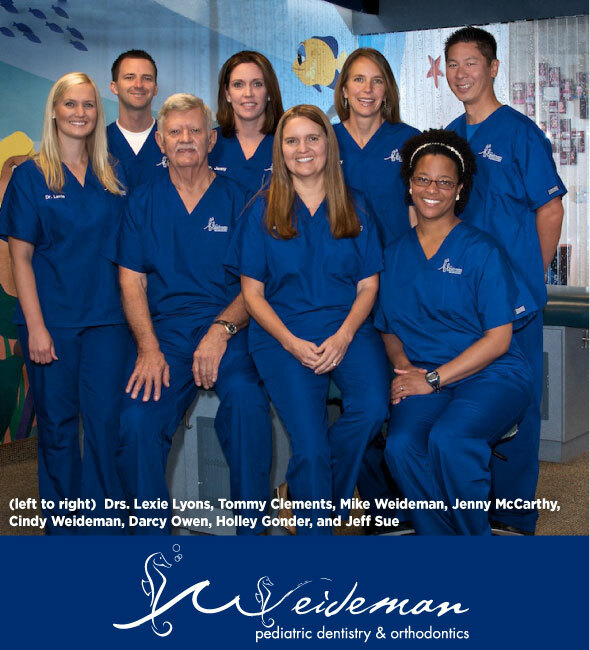 It’s extremely rare to have four Board Certified Specialists in Pediatric Dentistry in one practice. This accomplishment and rigorous training is the highest achievement a specialty trained pediatric dentist can obtain. Our doctors also have degrees in psychology and have been trained specifically to help children with special needs. Comforting children and alleviating fears is really what we focus on. 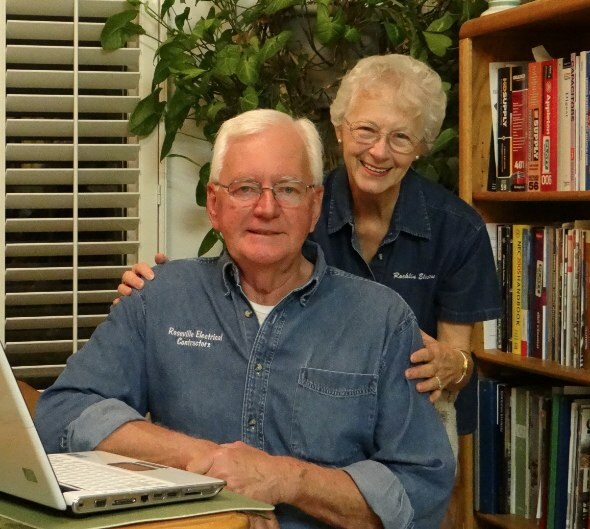 We are a 2nd generation family-run practice treating the children of the Sacramento area for almost 40 years. Dr. Lexie works in harmony with our Specialists in Pediatric Dentistry to monitor our patients’ dental health and development throughout their childhood and adolescence. She provides FREE consultations for our patients. Now that school has started, call us for your FREE classroom or children’s group dental health education presentation with a magical appearance by the “Tooth Fairy”. Dr. Remy would like to thank her clients and the readers of Style Magazines for voting Vitality Med Spa the #1 Favorite Med Spa and for voting for Dr. Remy as a Favorite Doctor for Cosmetic Procedures. Vitality Medical offers the safest and most advanced, naturally based nonsurgical technology available in aesthetic medicine today for men, women and adolescents! 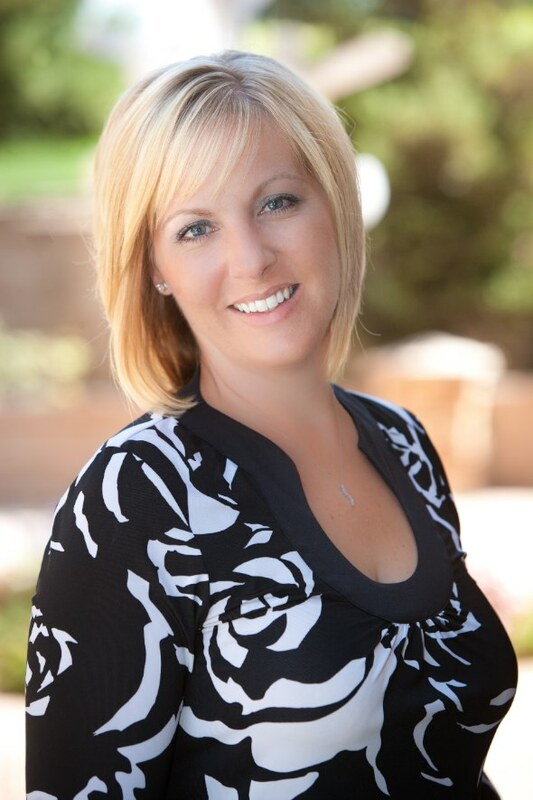 Dr. Remy has dedicated her practice to using the latest technologies to give patients natural looking results that rejuvenate, provide symmetry, and enhance appearance. 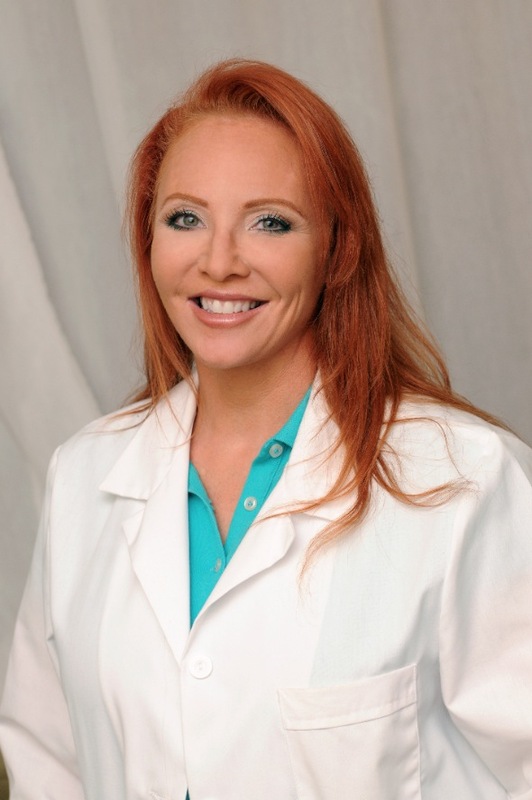 She specializes in techniques that are non-invasive and work with the body’s natural healing processes. Services offered include Laser Liposuction, Natural Augmentation & Body Sculpting, Skin Regeneration, Facial Sculpting, Laser Treatments, Weight Loss, Skin Care and more. Vitality emphasizes minimizing discomfort, and finding the best individual treatment plan to meet your specific needs. Call us to schedule your Free Consultation! We consider it a Great Honor to be voted the #1 Dental Office in Roseville, Rocklin & Granite Bay for the 4th year in a row. Our objective has always been to exceed our patients’ expectations. Our Greatest complement has been to see first -hand how we influence the lives of people. 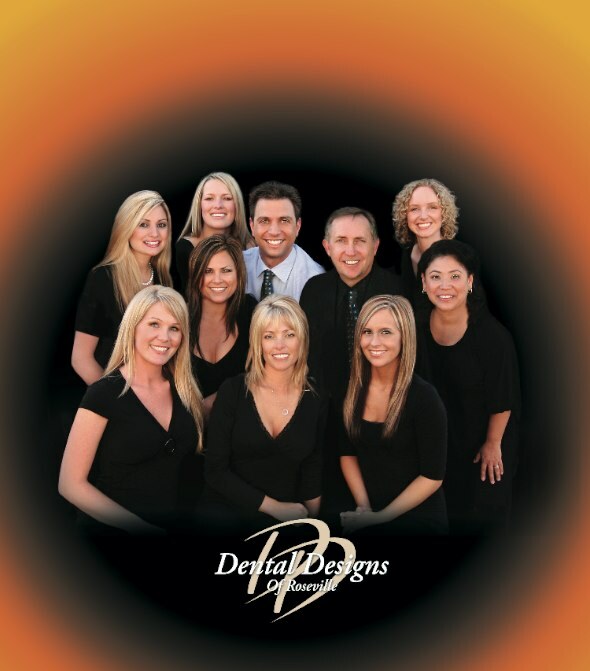 Our entire team at Dental Designs is driven to Excellence and committed to our patients. Both doctors have incredibly high standards and hold themselves accountable to those standards. The entire team is committed to their work and value lifelong learning because we believe in providing quality dental care rather than give into insurance companies. We will NEVER compromise. Our intense passion for our profession and unyielding enthusiasm for indulging our patients is one of the reasons we feel our patients believe and trust in us. We always go the extra mile to ensure that our knowledge of dentistry is exceptional. Our entire team has completed extensive hours of post-graduate training, including several courses at the prestigious Las Vegas Institute for Advanced Dental Studies. The Smile They Desire, The Dentistry They Deserve! “Don’t Stop Believing”...That has been my motto for the past two years. Two years ago I was given two weeks to live. 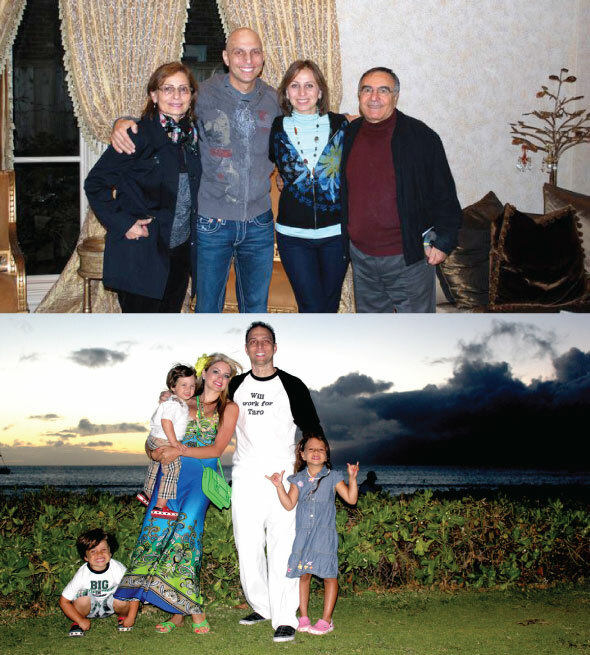 Looking back I can see with clarity that beating cancer has helped define the person I am today. Am I a hero? Actually as I see it, I believe the true Heroes are my family, my friends, my team at Dental Designs and my patients. Without faith, staying positive, everyone’s love, support and prayers I would not be here today. Another true hero in my life and whom I would like to take this opportunity to thank publicly is my sister Lama. She truly gave me the gift of “LIFE”. She graciously donated her bone marrow to me. I want to express my sincere gratitude for all of the unconditional love and support I received and continue to receive from so many of you. I promise to continue supporting the community, bringing hope to the needy, and assuring everyone that ANYTHING is possible if you BELIEVE. Every day I wake-up thankful and filled with gratitude. To be able to see the sun, to hug my wife and kids, and to enjoy seeing each one of you who has kept me in your prayers. Serenity Spa and Soul Yoga, provides a perfect blend of Eastern traditions woven into our Western daily lives offering healing that balances the mind, body, and spirit. We fuse the ancient wisdom of Ayurveda, the oldest healing system known, with modern SPA RITUALS by offering Ayurvedic lifestyle consultations, as well as body and skin rituals. Our SOUL YOGA studio offers a balanced approach to yoga with levels geared to the needs of each individual. We encourage students to experience body-centered, restful awareness. We offer Seven Spiritual Laws of Yoga and other styles combined. Our coveted, triple certification of Vedic Mastery from the world renowned Deepak Chopra is the highest level of accomplishment, and is recognized to be the pinnacle of commitment when exploring Vedanta, Meditation, Ayurveda and Yoga. Bring Serenity Spa and Soul Yoga into your life with our combo membership for both the spa and yoga. Dr. Lauren Van Winkle, O.D. Dr. Lauren Van Winkle, O.D. 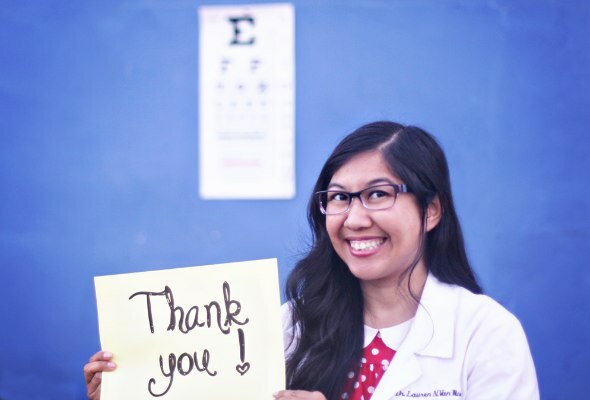 and the staff at Viewpoint Optometry would like to express our sincere gratitude to the readers for voting us their Favorite Eye Doctor for the 2nd year in a row. Our goal is to provide personal, professional and quality eye care. We educate patients on the newest research, utilize the latest optical technology and provide the best eye care products. We also strive to have an amazing selection of designer and boutique eyewear. We are so very fortunate to serve this incredible community. Thanks again for trusting us with your vision care! Roseville Health and Wellness Center would like to thank the readers of Style magazine for voting us #1 for the last 8 consecutive years! 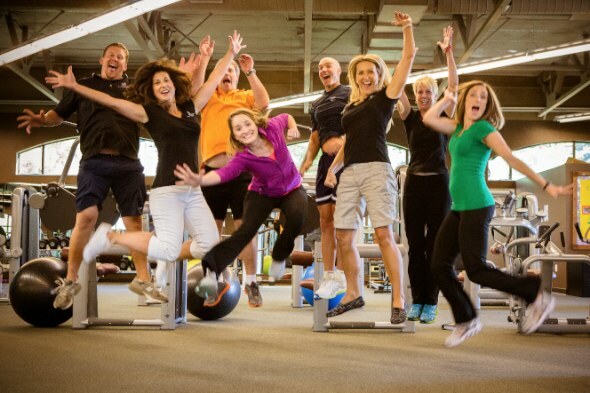 As the designated #1 Wellness Center in the United States we are committed to helping you achieve your Wellness goals! Ask about our NU You health program! Fitness, Nutrition & Coaching! For more information and to read our amazing success stories check out our Website! Thanks for voting Ginger’s a top award winner! We are a family owned restaurant that serves All-American breakfast, lunch and dinner in a fun beach atmosphere. Come relax on our large tropical patio under the palapas, and enjoy great food, drinks and free live music on the weekends! You can also reserve our private dining room for special events. We serve only Certified Angus Beef prime rib, steaks and burgers, and offer breakfast all day long. 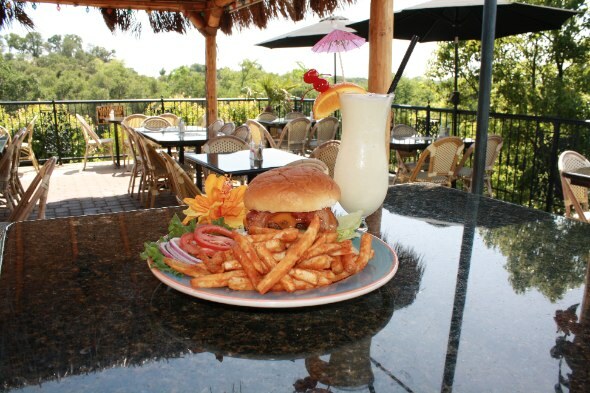 Escape to Ginger’s and enjoy Roseville's tropical paradise. Wacky Tacky opened in November 2008 and is grateful to the community for voting us the Favorite Kids’ Birthday Party Spot in the 2010-2012 Style Readers’ Choice Awards. Our facility is open for everyone who wants to have lots of fun, 7 days a week (unless reserved by private party, check Web site for availability). If you haven’t been to Wacky Tacky, come visit us and see what all the fun is about! Open play is Monday through Saturday 9am to 8pm and Sunday from 10am to 7pm (unless reserved, check our calender for times). You can reserve Wacky Tacky for private parties, just give us a call for details. Check out our website at www.wackytacky.net for coupons and other information. Thank you for voting St. Albans Country Day School the #1 Favorite Private School! 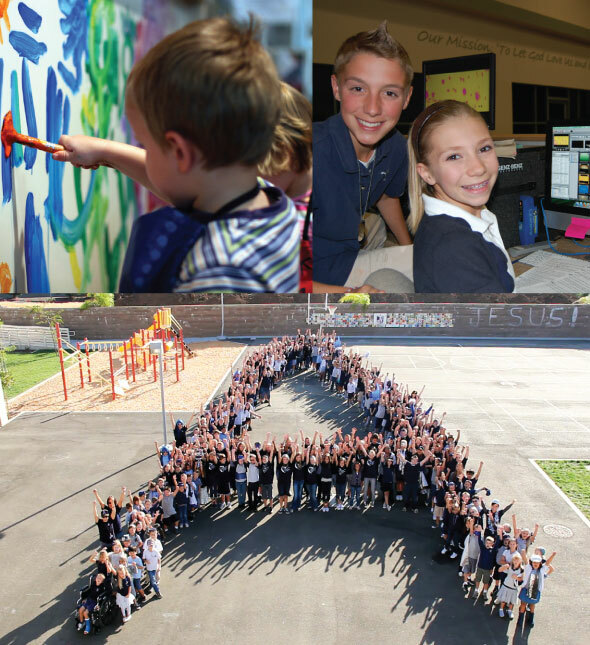 St. Albans Country Day School is a non-religious private school serving students pre-K through 8th grade. We offer students a challenging curriculum in a safe, caring environment where ethical conduct is emphasized. 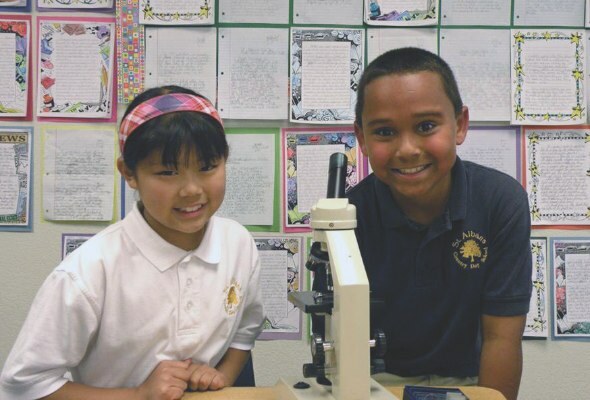 Small classes and high expectations allow us to offer a rich core curriculum plus Spanish, art, band, music, drama, computers, PE, after-school clubs, and sports programs. We are W.A.S.C. accredited. Extended day care is available. Lone Buffalo would like to thank Style’s readers for voting us Favorite Local Winery for the third year in a row! 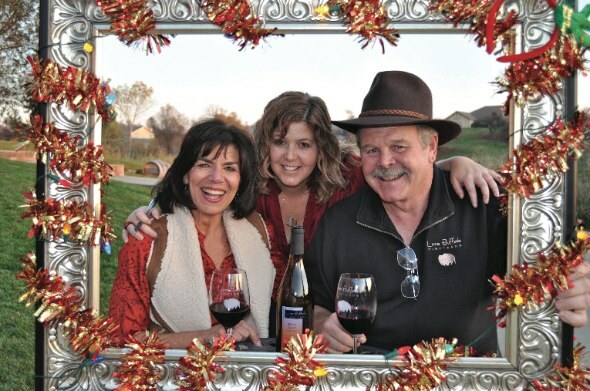 We truly enjoy being part of your community and engaging our customers in the local wine scene. Our down-to-earth attitude, cowboy style and award-winning wines shine through on every visit. Grab a taste of any of the nine wines in our “herd” and learn about Sierra Foothill wines. Lone Buffalo is expanding, too! We are moving to a new location this fall and building a new tasting room and winery facility. Check out our “News” page at lonebuffalovineyards.com for updates on our "Roam" over to Wise Road in North Auburn. “You like us, you really, really like us”; not to steal from Sally Field but there is nothing better than being recognized by the loyal readers of Style Magazine as the #1 Landscape Contractor in the area! To show our appreciation, for a limited time, we are offering a 50% discount on any newly signed Landscape Design agreements. Contact us today at 916-783-5080 and find out how you can qualify for this one of a kind offer. 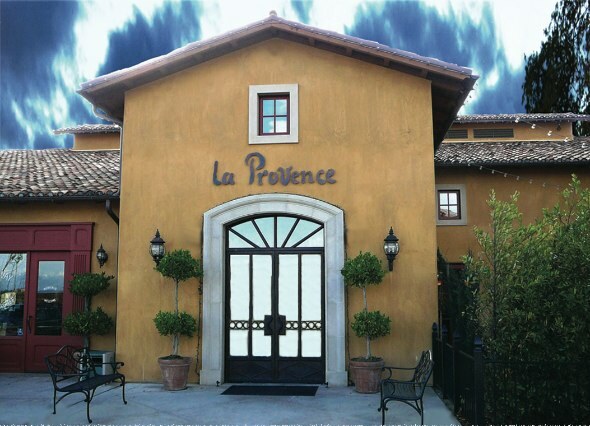 La Provence would like to thank you, our guests, for your Readers’ Choice votes and your continued loyalty, and we hope to see you soon. Book Your Holiday Party Now! La Provence captures the very essence of the holidays, with a roaring fire, festive décor, a joyful atmosphere and inspired menus. Contact our events coordinator at 916-789-2002 or email events@laprovenceroseville.com. Merci from all of us! A Day to Remember Wedding and Event Planners believes planning the wedding of your dreams should be just like falling in love…joyful and effortless! Your wedding will have a myriad of details. We carefully listen to your wishes and concerns and we offer guidance, organization, and provide peace of mind. We want you to enjoy a worry-free wedding day and to have fun in the process! We have had many years of experience coordinating and planning special events in the Northern California area, including Napa and Sonoma, Sierra Foothills, and Lake Tahoe. Let’s start! I am grateful to the readers of Style for voting me Favorite Accountant. I take care in meeting the tax and accounting needs of my clients. It is important for businesses and individuals to have confidence that their accountant is knowledgeable, honest, and dedicated to looking after their financial interests. 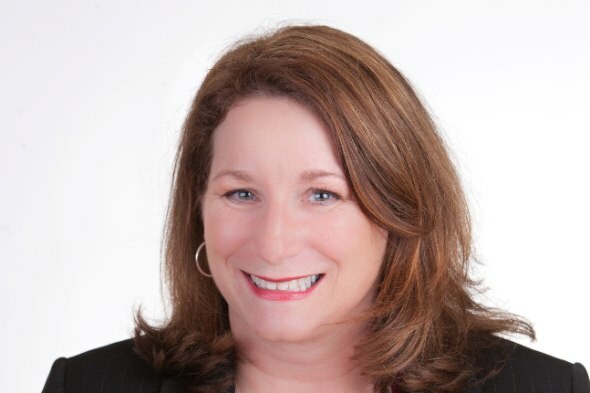 As a working CPA for over 27 years with a Masters in Taxation who has lived in Folsom for nearly my whole life, I understand the issues that impact the people of this area. Contact me at 916-646-6464 to discuss you or your company’s particular tax or accounting needs. 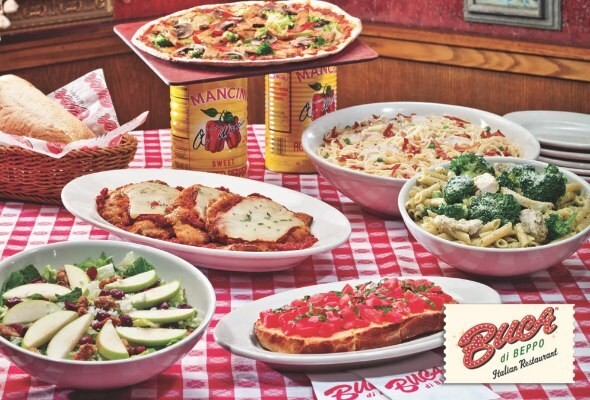 Buca di Beppo serves authentic Italian cuisine in an eclectic, vintage setting and is the perfect place for a great meal at a great value. Buca's food is served family-style, meant to be shared. The lively atmosphere makes Buca di Beppo perfect for celebrations and groups of all sizes! With its fun-filled décor, engaging music and over-the-top service, Buca is the restaurant of choice for celebratory dining. So, whether you’re celebrating a special occasion, planning a business dinner or grabbing Buca To Go, Buca is the perfect place for great Italian food and fun! Thank you for voting Guchi Interior Design your ultimate “one stop showroom” for all your home interior renovations and projects. 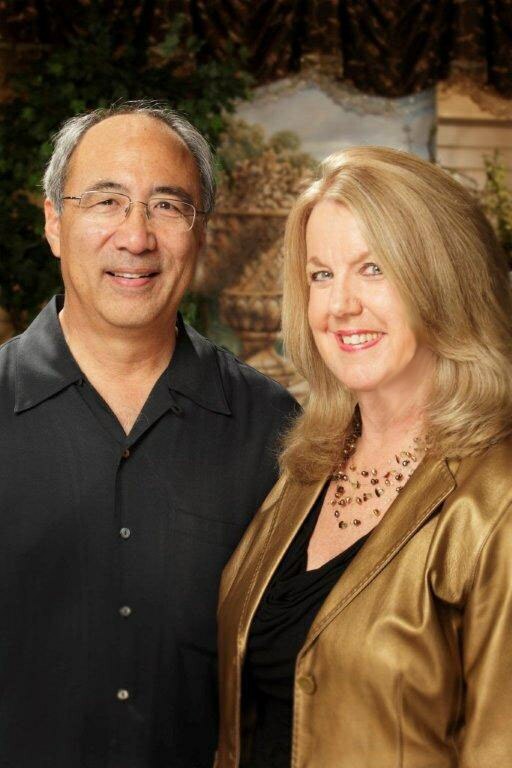 Bruce and Katherine Kawaguchi combine over 50 years’ experience in the home interior industry. We also feature a staff of four additional designers. One of our most popular promotions is our free initial design consultation. Our designers are either members of ASID or have interior design degrees. In addition to our design services, we offer numerous types of flooring, tile, custom window coverings, shades, shutters, faux finishes, accessories, area rugs, and kitchen and bath design and remodeling. Come by and see our beautiful showroom or call for an in home consultation! Thank you to our devoted clients and friends. We are honored to be voted Best Interior Designer, Painter and Home Remodel company. Being noticed for our work and dedication is a great accomplishment. We offer a unique team that works with you through the planning and design stage to the painting and contract finishing work. It’s been a pleasure working with our clients to give them a fresh new paint job, dream kitchen or even a complete new dental office. We love our work and are glad you do as well. We truly want to say Thank YOU to all the Style readers for choosing PSG as your Readers’ Choice Accounting Firm for 2012. We are grateful to have such an outstanding team that contributes to our success in serving our client’s needs. We work closely with our clients to understand their needs, and tailor the appropriate solutions to achieve them. 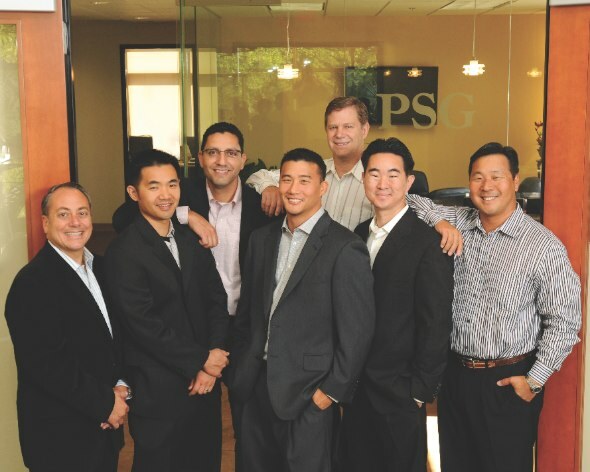 PSG’s partners have previously owned several successful businesses outside of the tax arena. This gives us practical experience which enables us to see things from our clients’ perspective. We like to think of ourselves as business people who happen to be tax experts. 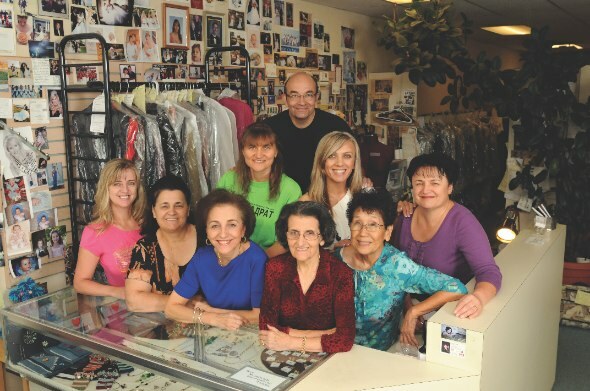 FOUR SEASONS TAILORING is a family run operation whose history goes beyond the twenty-one years we have served the Granite Bay Roseville area. Flora graduated from a European tailoring school in 1948 and is still active in the operation. Marina received her European diploma in 1968. We are fortunate in having had the support and patronage of our wonderful clientele these past 21 years and we are further blessed in having been able to assemble a great crew of top-notch tailors. Our thanks also to the many fine people we have had the privilege of serving. Thank you for voting us Favorite Tailor 6 years in a row! After only being open for a few months we are honored to be voted a Favorite Kids Birthday Party Spot. We pride ourselves as being a fun, clean, safe environment where birthday parties are unforgettable! Our 18,000 square foot facility has a 7,000 sq. 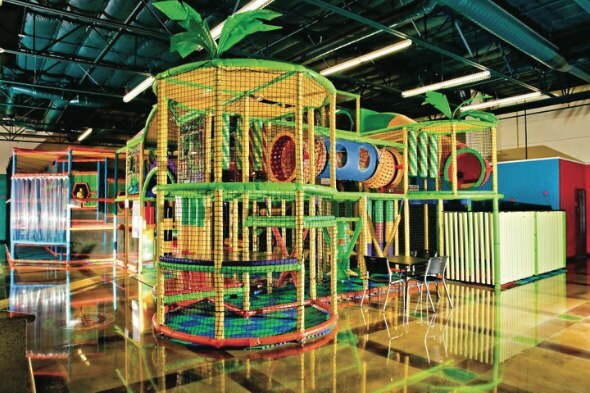 foot state-of-the-art, multi-level laser tag arena, a Crazy Zone filled with enormous inflatable play structures, a full arcade with redemption center prizes, and a Craze Café serving fresh baked made-to-order pizza and drinks. 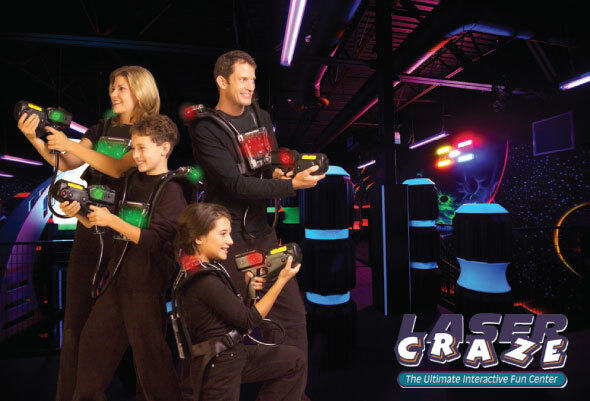 Laser Craze definitely has something for everyone. Thank you for voting for us and we look forward to celebrating your birthday with you! Thank you Style readers for once again voting us Favorite Pet Groomer. 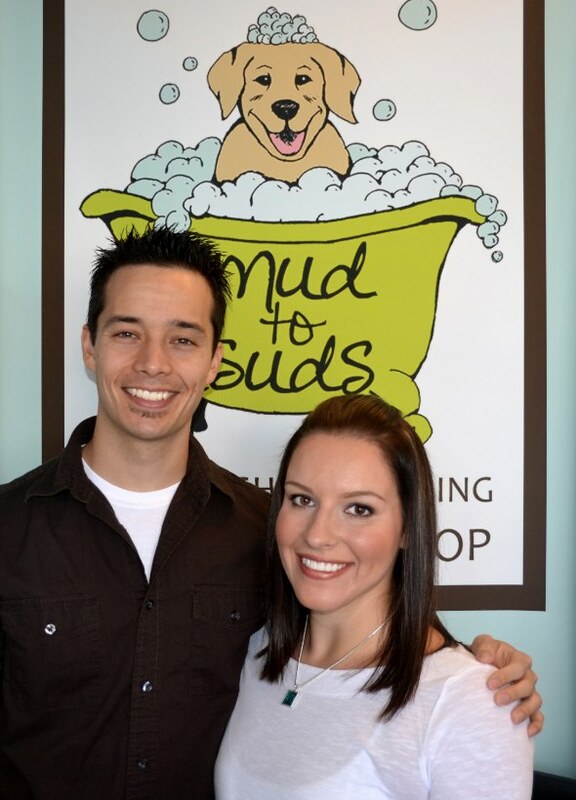 Our passion at Mud to Suds is supporting the wellness of your furry friend. We offer custom self-bathing stations and professional grooming services as well as a wellness shop full of items to keep your pet happy and healthy. Thanks for voting us Favorite Electrician – 2nd year in a row! With 40 year’s experience, we have the knowledge to take care of all your electrical service needs, from a receptacle in your home to installing high reach lighting at your business. Call us and you’ll talk with Pat, not a recording. It’s a Small World, Keep it Lit! Thank you to my clients and Style Magazine readers for this honor! As a consulting CPA firm, we provide accounting, tax and business advisory services to individuals and small businesses. We believe accounting is more than just numbers. Call today and find out how we can help you. 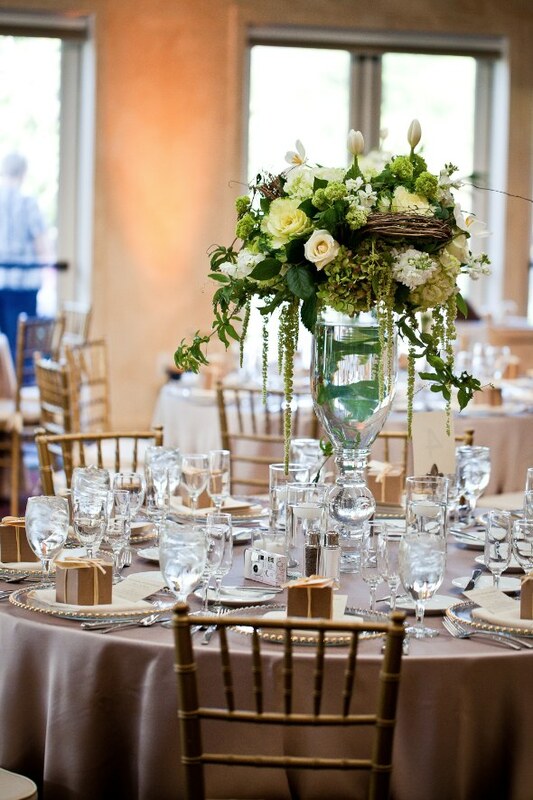 Granite Bay Golf Club offers full-service event planning for every occasion. Whether planning a small private party, major celebration, or high-profile corporate event, enjoy the ultimate experience with our perfect blend of event strategy, custom menu design and culinary execution. Thank you Style readers for the honor of voting us #1 Favorite Bridal Shop! A full-service European bridal store, Diamond Bridal Gallery has an incredible selection of wedding and bridesmaid dresses, flower girl dresses, mother of the bride outfits as well as invitations. Call for an appointment today! What an honor to be selected favorite Dermatologist in Roseville! 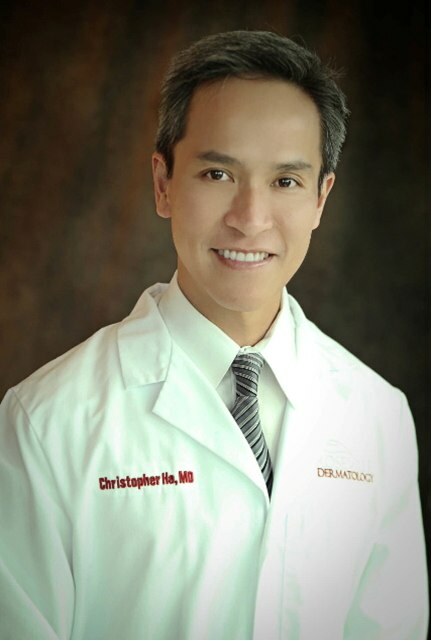 Dr. Christopher Ha and his staff are thrilled to be serving such a wonderful community. Roseville Dermatology offers a full range of dermatology services, from skin cancer screening to acne treatment to Botox injections. We are here to help you achieve your healthiest skin possible! 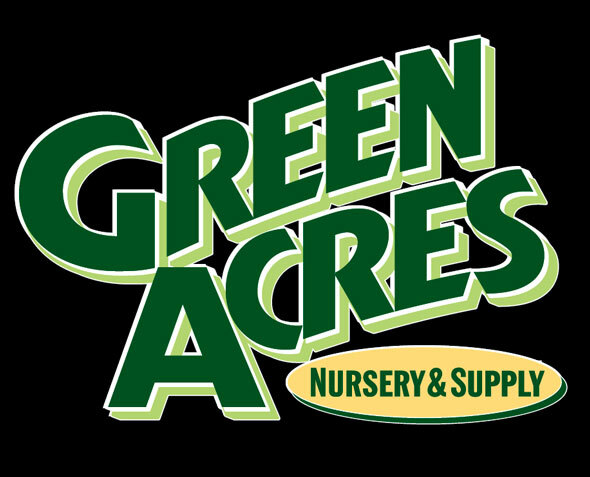 We are proud to be a locally and family owned business that sells quality plants at the most competitive prices. 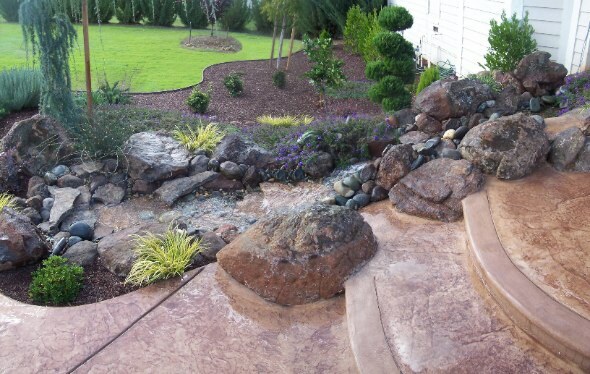 Customer service is king at our stores and we will help you choose the right plants for the right place in your yard. New at Folsom – CUSTOM patio furniture and barbecues! Thank you for voting me one of Roseville, Granite Bay, Rocklin's favorite Hair Stylists for the second year in a row! I love what I do and take pride in providing superior customer service. Come see me – I’d love to do your hair! Thank you Clients, you mean the world to me! 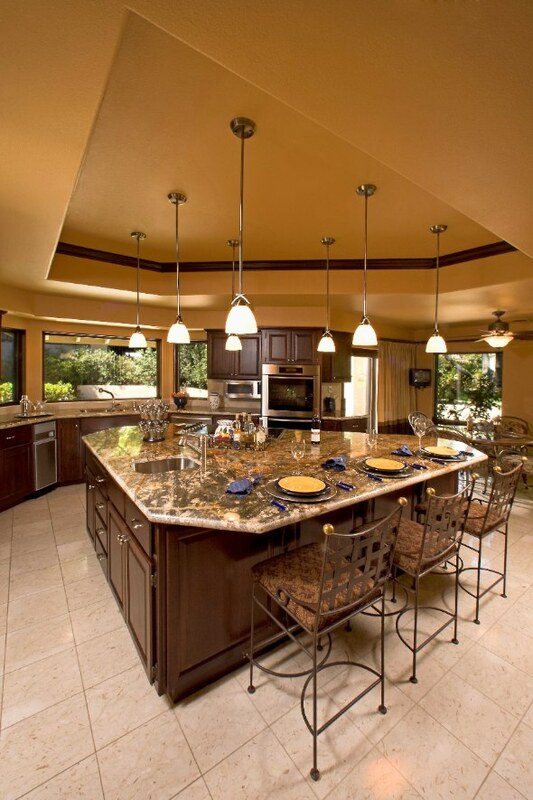 Eberle Remodeling, a full-service, Design/Build, residential remodeling company, would like to thank all those who voted us their #1 Favorite Remodeler in the Roseville, Granite Bay, and Rocklin communities. Now in business for 28 years, we've won 53 NARI CotY awards. Please visit our website at www.EberleRemodeling.com, and also check out the link to “GuildQuality”, our independent, customer satisfaction survey company. 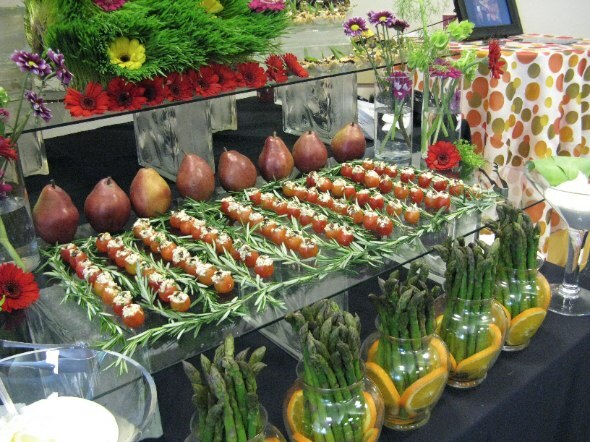 At Randy Peters Catering & Event Planning we do more than cater food. We are dedicated to providing you with the ultimate experience for your wedding, social or corporate event. Thanks to the Roseville Style Magazine readers for voting us favorite caterer and wedding caterer. Our Commitment is simple: Great Food. Great Service. Stress Free.